M-PC is the Martin M-Series online and offline editing tool that will run on a Windows PC and can be downloaded here. A training video and user manual is also available. M-PC gives you the same power and functionality as the software running on all the M-Series consoles. It can be installed on any PC running Windows 7 or higher. It is the same software you will find on the Martin M2PC console surface and can also be used in conjunction with the M-Series Modules or as a tracking backup for M-Series consoles. M-PC can be used for offline programming or can be linked to a Martin M-DMX or any ArtNet, sACN interface device for direct control of fixtures. It provides a high-value programming platform for a large variety of shows from a rock tour to a simple permanent installation. 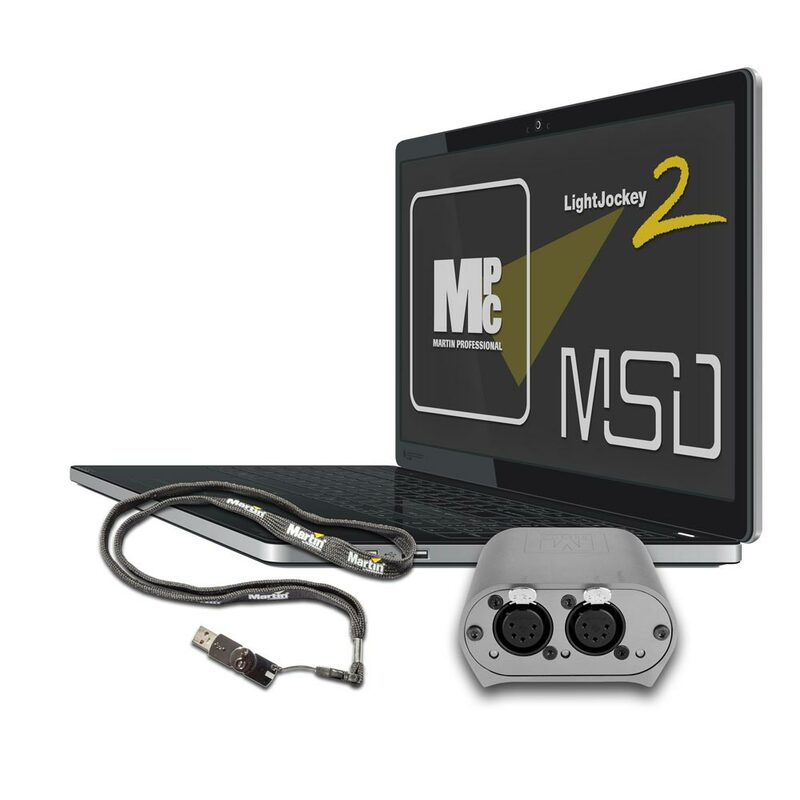 M-PC 2U comes with a 2-port Martin M-DMX Interface Box and gives control of two physical DMX universes. It also gives control of four DMX universe over Art-Net and sACN. M-PC Pro comes with a 2-port Martin M-DMX Interface Box and a Martin One-Key USB dongle with a 64 universe M-PC™ license. This is expandable to 128 DMX universes with an additional license. A fully working free one-year Martin ShowDesigner 6 Lite Visualizer™ license is included on the same Martin One-Key dongle. Alternatively, a single universe can be controlled with M-PC when using an ENTTEC compatible USB-DMX interface.